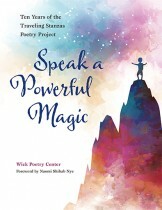 Speak a Powerful Magic features poems by schoolchildren, immigrants and refugees, patients and caregivers, and veterans, alongside the work of well-known contemporary American poets, and it demonstrates that poetry is truly of the people. We turn to poetry to give voice to what is troubling us, to honor what we love, to make sense of our lives, to remember our past, and to commemorate what we’ve lost. Here, it becomes clear that poetry, especially when coupled with the visual arts, has the potential to broaden our understanding and bring people together in ways that more traditional communications simply cannot. 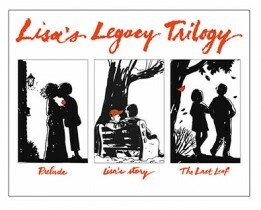 Slip-cased Lisa’s Legacy Trilogy containing all three cloth editions. Prelude is a collection of the early comic strips that bring Lisa and Les together and takes fans from the early days of their deep friendship through the birth of Lisa’s baby and the baby’s adoption. To be published simultaneously with Prelude, The Last Leaf is the sequel after Lisa’s death from breast cancer in Lisa’s Story: The Other Shoe. The Last Leaf recounts how Les and family cope with Lisa’s death and continue their lives. Creator Tom Batiuk brings Lisa back in Les’s imagination, and she helps him work out difficulties and decisions in his life and in the life of their daughter Summer. Fans will recognize Batiuk’s gentle mix of humor and more serious real-life themes that heighten the reader s interest. 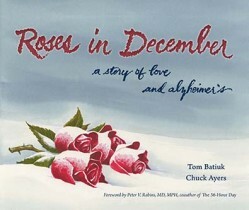 Roses in December is a touching collection of two Crankshaft storylines of characters who find themselves dealing with the incurable condition of Alzheimer’s disease. First, Ed Crankshaft’s best friend Ralph is confronted with the trauma of his wife Helen’s worsening Alzheimer’s. He never knows if the love of his life will recognize him on those days that he visits her at Sunny Days Nursing Home. Ralph and Helen’s love story unfolds with humor and heartbreak. By the 1980s Batiuk’s talent for character- and story-driven work comes into its own. Harry L. Dinkle, the World’s Greatest Band Director and Funky’s first breakout character, is still marching along happily. He makes the first of two visits to the Tournament of Roses Parade, and his ego grows even larger. Harry proves a good match for the sitcom style of writing into which Batiuk’s work on Funky is developing, and Crazy Harry thrives as the repository for the more outré ideas and situations. 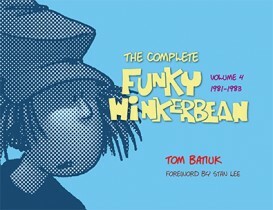 Whether it is living in his locker and playing frozen pizzas on his stereo, battling the Eliminator at Space Invaders, announcing that he is an air guitar player, or inviting Carl Sagan and ET to the Star Trek Convention that he and the school computer would host, Crazy becomes Funky Winkerbean’s natural-born outlier. Meanwhile, Les Moore continues his angst-filled journey as the leader of the school’s out crowd. He’s still at his machine-gun-fortified hall monitor’s post, trying to avoid getting beaten up by Bull Bushka, and generally dealing with school life as best he can. Kirk Mangus was an internationally recognized artist, who led the Ceramics Department at Kent State University for almost 30 years. Influencing multiple generations of students, he was a central figure in the revival of wood-firing in America. 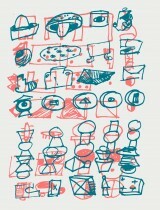 This catalog accompanies the retrospective Kirk Mangus: Things Love at the Museum of Contemporary Art Cleveland. Included are over 100 pages of full color plates that show the breadth of Mangus’s practice, from humble cups to ornate vessels and large totemic sculptures. A selection of drawings and paintings are also included, along with several essays by exhibition curator Rose Bouthillier, Eva Kwong, ceramic artist and Kirk’s wife, and other scholars, along with selections from the writings of Mangus himself. 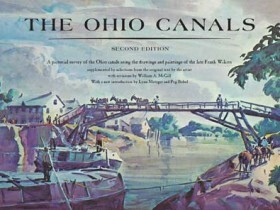 The Ohio canals live again through the eye and hand of artist-historian Frank N. Wilcox. From his years of walking the canal ways and exploring the broken locks to searching old newspapers and musty records, Wilcox built this record. Through his art and writing he tells the story of canal location and construction; guides us through the intricacies of locks and their workings; and restores for today’s readers the texture and flavor of this colorful era. 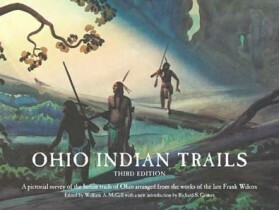 In this classic and coveted volume, artist Frank N. Wilcox tackles the difficult job of mapping the Indian trails of Ohio. Basing his work on the journals and records of early settlers and soldiers, his knowledge of Native American ways, and his intimacy with the Ohio landscape, he locates and documents the major Indian towns and trails that crisscross the state. His maps, drawings, and watercolors beautifully evoke the lives and cultures of Ohio’s first peoples. © 2016 The Kent State University Press. Powered by WordPress and developed by dcrosby as a mashup of the Branford Magazine and Whitehouse Pro themes.